This updated waterfront Condo at 209 Seabreeze Drive North Kingstown came on the market and my Buyers wanted it right away. What a well maintained and updated 2 bedroom condo with garage on the water at Fishing Cove. With stunning views of Wickford Harbor from all rooms, redone granite kitchen with high end cabinetry, warm and inviting front brick private patio that offers you in. Cedarhurst townhouse complex has 132 townhouses on 113 acres of prime coastal land located in North Kingstown. With pool, tennis courts, boat launches & storage, and more it offers the homeowners so much. This one is another 'Oops you Missed It' scenario so make sure you work with a Realtor who keeps her pulse on the newest and latest homes and condos on the market. 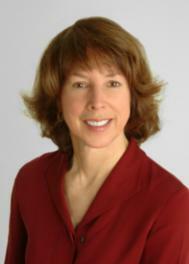 Call Ginny Gorman at 401.529.7849 for all your RI real estate needs. When you are ready to buy or sell call me!